A joint is a junction between two bones. There are three basic types of joints. A synarthrosis or syndesmosis is a joint in which the bones are held together by fibrous tissue that permits almost no movement. The joints between the bones of the skull are of this type. The second type is an amphiarthrosis, in which the bones are connected by cartilage. An example of this type of joint is found in the spine, where pads of cartilage (the intervertebral discs) are interposed between the vertebral bodies. Amphiarthroses allow a moderate degree of movement. The third type of joint (the type that has the greatest freedom of movement) is called a diarthrosis or synovial joint. All diarthroses have certain features in common. The opposing surfaces of the two bones (the articular surfaces) are covered with articular cartilage. This provides a smooth surface which minimizes friction. The articular surfaces are enclosed by a joint capsule, a sleeve of fibrous connective tissue that fits over the ends of the two bones. The inside of the joint capsule is lined with a membrane called synovium that secretes a lubricating fluid (synovial fluid). The fluid-filled space inside the synovial membrane is called the joint cavity. The joint capsule is firmly attached to the bones, holding them together; yet it is flexible, allowing a free range-of-motion. The capsule is reinforced by tough bands of fibrous connective tissue called ligaments. 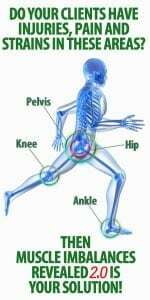 Most ligaments are located outside the capsule; however, some joints have ligaments that pass through the joint cavity (e.g., the cruciate ligaments of the knee). Diarthroses come in a variety of shapes, allowing different types of movement. For example, ball-and-socket joints (such as the hip and shoulder) can move in all directions, and have the greatest range-of-motion. Hinge joints (such as the elbow) can move in only two directions, flexion (bending) and extension (straightening). The knee is mostly a hinge; however, a slight degree of rotation occurs as the knee flexes and extends. The atlanto-axial joint (between the first two cervical vertebrae) is a pivot, permitting the head to rotate on the neck. Some of the intercarpal joints (between the small bones of the wrist) are plane joints, allowing the bones to glide over each other. The first carpometacarpal (CMC) joint (the joint at the base of the thumb) is saddle-shaped; it can move in all directions, but with less range than a ball-and-socket. This is what makes the thumb opposable, so that it is possible to grasp objects between the thumb and fingers. Movement at a joint is produced by the contraction of muscles. A tendon is a bundle of fibrous connective tissue that attaches a muscle to a bone. Another structure associated with some joints is a bursa, a sac, lined with synovium, but separate from the joint cavity. Bursae may be located between bones and tendons, between ligaments and tendons, etc. They act as cushions, reducing friction between the moving parts around a joint. Further information about specific joints is presented in separate sections for the individual joints.